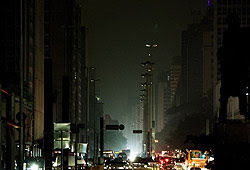 For reasons not fully explained, 9 Brazilian states faced an unexpected Blackout on the night of November 10th at about 10h15pm. 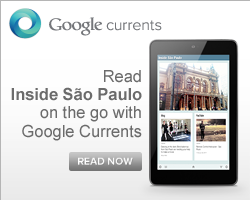 Officials of the Brazilian Power Distribution said the problem was caused by a storm in the state of Parana, which reached the grid lines of transmission coming from the Itaipu hydroelectric plant, responsible for 14 GW. Eduardo Barata, director of distribution ONS assured that the problem is not in the hydroelectric power, but over the more than 1000 km of transmission network. Sao Paulo, was completely blind from 10:15pm till 2h15am. The energy has been gradually reestablished. No focus of urban chaos has been identified, but on the streets, the lack of energy in the traffic lights left turned traffic complex in the first hour of blackout.